Borussia Dortmund coach Peter Stöger insists that midfielder Mario Götze was unfazed by Joachim Löw's decision not to select him for Germany's recent friendlies with Spain and Brazil, and says the 25-year-old is still determined to join Die Mannschaft at this summer's FIFA World Cup in Russia. Götze was one of the most notable absentees in Löw's 26-man squad, along with clubmate Andre Schürrle – the man who teed him up for the winning goal in the 2014 World Cup final. 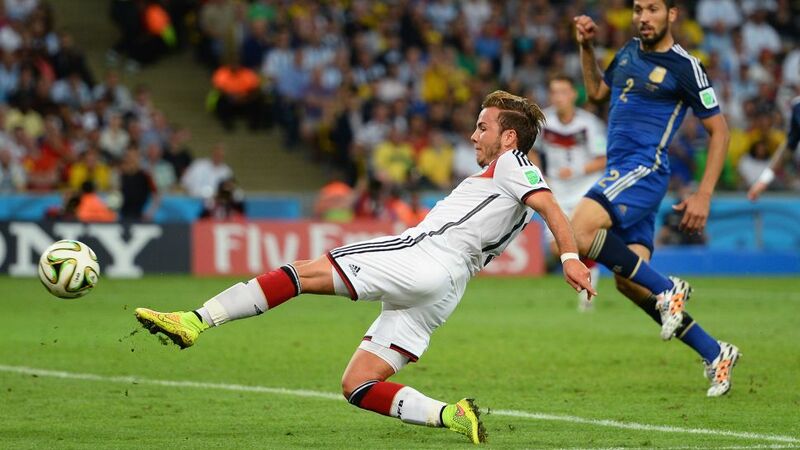 "Mario Götze has yet to hit the level of form we expect of him, but we haven't written him off," Löw explained. "The same goes for Andre Schürrle. He appears to be on the up, and we rate him as a player. They'll be in contention if they continue to play well." While Germany were drawing 1-1 with Spain and losing 1-0 to Brazil, Götze was busy training hard alongside Usain Bolt in Dortmund, as he looks to help BVB secure second place in the Bundesliga this season ahead of Schalke, Eintracht Frankfurt, Bayer Leverkusen and RB Leipzig. The attacking midfielder is well aware that he needs to up his game between now and 15 May, when Löw will announce his provisional 23-man squad for the World Cup. "Mario is very motivated, he's made a good impression in training," said Stöger, who is preparing for a daunting trip to face Bayern Munich at the Allianz Arena on Matchday 28. "He was not devastated to miss the friendlies. He is dealing with his situation and he will try to be in Russia this summer." Like Löw, Stöger called on Götze to improve after Dortmund's disappointing UEFA Europa League exit at the hands of Red Bull Salzburg. The 25-year-old has only managed two goals and five assists in all competitions this season, which he knows is insufficient for a player of his calibre. "I'm grateful to the coach for pointing out my weaknesses, and I'm going to work hard on them," Götze insisted. Whether that will be enough to earn him a ticket to Russia, only time will tell. One thing's for sure: a match-winning performance against his old club Bayern this Saturday evening would be the perfect place to start. Click here for the latest Borussia Dortmund news, views and features!